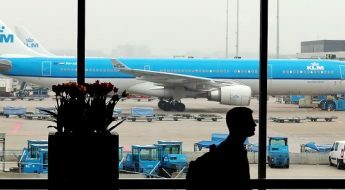 As air traffic continues to grow, airport capacity risks being overwhelmed, with delays and cancellations threatening to mushroom to ever higher levels. Improving everyday airport performance by making more efficient use of resources and existing infrastructure is essential to meet the growing demand. One emerging technology set to help airports and airlines save costs and improve their operational efficiency is advanced analytics. From a public observation deck, a modern airport appears to run like clockwork. Aircraft, ground vehicles and personnel seem to follow a precise choreography, with all tasks being completed on time. Yet, if we look deeper, another, more realistic picture emerges, one in which unexpected events occur constantly, delays happen and passengers suffer a less than perfect experience. That’s hardly surprising given the extreme complexity of large airports. With hundreds of aircraft movements every day, thousands of ground staff and hundreds of thousands of passengers, the unanticipated is inevitable. As air traffic continues to grow, airport capacity risks being overwhelmed, with delays and cancellations threatening to mushroom to ever higher levels. Improving everyday airport performance by making more efficient use of resources and existing infrastructure is essential to meet the growing demand. One emerging technology set to help airports and airlines save costs and improve their operational efficiency is advanced analytics. ADB SAFEGATE estimates that implementing advanced analytics has the potential to save 20m euros per year, or 6% of operational costs at an airport with 280,000 annual movements, which is the average for the world’s top 100 airports. The gains are achievable by avoiding delays and flight cancellations, as well as improving operational efficiency. Airport systems today already create huge amounts of data during their daily operations, data which is typically held in the existing Airport Operational Database (AODB). However, the AODB gives a static picture and offers few opportunities to meet the ever-changing needs of the dynamic airport environment. The deployment of Airport Collaborative Decision Making (A-CDM) at many airports, built on top of their AODB, has been hugely successful, helping stakeholders to use common data and work together to improve airside operations. A-CDM opens a path towards even greater use of data across the entire airport, airside and landside. This is where advanced analytics can have a huge impact by applying machine learning and Artificial Intelligence (AI) to analyse complex data sets and produce new insights to improve processes. For airports, these techniques offer the potential for more accurate predictions of events based on the actual situation in the airport at any moment. This will allow a reduction in the time buffers typically built into each process step to account for uncertainty in the standard times used for planning, such as taxi times, in-block times and start-up approval times. The full end-to-end planning process for airport operations will be much more dynamic and real-time thereby increasing throughput and making airport operations more robust to cope with changes and disruptions. At its most basic, data analytics provides real-time insights to stakeholders for a true picture of operations and to support decision-making on how to prioritise operations to maintain schedules. In addition, by using machine learning to analyse data gathered over weeks, months and even years, patterns, trends and bottlenecks can be revealed that will help to more accurately predict times and durations, for instance, correctly predicting the true taxi time of an aircraft. This trend analysis will also help to improve fundamental operational processes. At its more advanced levels, data analytics will be able to predict events and raise alerts, before an issue is expected to occur. This enables stakeholders to take preventive action before operations are affected. Ultimately, AI will support the decision-making process by suggesting a sequence of actions that can be taken to, for example, return to normal operations as quickly as possible following an incident or adverse weather conditions. Achieving the full potential of advanced analytics will require smarter and tighter integration of systems across the airport to gather and deliver the mass of data needed to fuel AI. Airfield ground lighting, for example, is beginning to incorporate more than just passive elements. The addition of Internet of Things (IoT) based sensors and new control capabilities means they can monitor weather conditions and track airfield status, including Foreign Object Debris (FOD) detection. Data is fed back to the A-CDM to provide a real-time view of airfield status. In the tower, air traffic controllers use a variety of systems to help them manage traffic flows into, out of and around the airport. Conventionally, each system, such as the Advanced Surface Movement Guidance and Control System (A-SMGCS), electronic flight strip system and various information systems, has its own screen and interface that the Air Traffic Control (ATC) officer must monitor. Integrating these systems onto one screen provides a consistent interface and brings new capabilities such as advanced safety net solutions, workflow support and enhanced routing and guidance. Meanwhile, at the gate, the integration of docking and apron management systems will provide the data to support the building of a complete picture which can be used to improve performance. With advanced analytics, real-time insights into the aircraft turnaround process, including baggage handling, catering, fueling, water, boarding and push readiness, can be provided to all stakeholders at the gate. The systems will automatically flag where problems and bottlenecks are occurring to enable rapid action to be taken. Advanced analytics will be a critical part of future Total Airport Management (TAM). 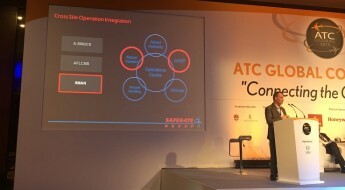 While A-CDM involves all airport partners in the tactical phase, TAM enables all partners to sit together in Airport Operations Centres (APOCs), working to a more proactive and strategic Airport Operations Plan (AOP) plan. The scope of TAM is the entire airport, monitoring and guiding airside and landside operations while considering additional information from SWIM (System Wide Information Management), for example from departure airports. In an advanced TAM solution, advanced data analytics can not only provide the necessary awareness to understand the complete situation at the airport in real time, but also offer predictive decision-making guidance based on what is likely to happen in the coming few hours. Improving airport performance depends on the ability to quantify the issues an airport is facing and data from across the airport is the key to achieving this. Advanced analytics is the next natural step for airport performance. 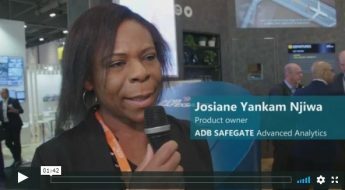 Do you want to find out more about ADB SAFEGATE´s Advanced Analytics Offer and data-driven software applications? 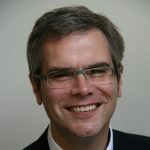 Contact Patrick Reijnders, Director Data Analytics at ADB SAFEGATE. Airports and the ATM System – Where Next?